Sermon preached by the Revd. Canon Leonard Doolan. Over these weeks in Lent I will be offering 5 sermons based on the Liturgy – the weekly offering of the church in which God’s glory in Christ, and in us, is celebrated. This is the last in the series. Each week the subject will be preceded by the word ‘sacrament’. I am using this word in its loosest sense because I do not want to confuse what we are doing with the 7 formally recognized Sacraments of the church. This ‘looseness’ of the word ‘sacrament’ I discovered recently when reading a book on the Eucharist by the great Orthodox theologian, Father Alexander Schmemann. I am working with the basic meaning of ‘sacrament’, namely ‘the outward visible sign of a hidden invisible grace’. In other words, a mystery revealed. To recap – in the first week we thought about the nature of the church focusing on the image of the ‘household’ and then into thinking about the Sacrament of the Gathering of the household of faith, and the immediate need for repentance, Kyrie eleison, followed by the outburst of Gloria (except in Lent and Advent). In week 2 we reflected on the Sacrament of the Word, balancing the word of God in scripture, and God in Christ as the Word made flesh. We considered the Sacrament of Prayer, looking at 5 points in the Liturgy when prayer is the task of the household of God. Last week we reflected on the Sacrament of Offering, ending with a quote from Dom Gregory Dix. (full text in previous sermon). The other ‘great command’ of our Lord is to be found at the end of St. Matthew’s gospel (Matthew 28, 19). In this he commands his followers to ‘go out’ to all the nations πάντα τά έθνη and to do to all peoples what he has done in the mystery of his death and resurrection, namely the creation of the household of faith. The household is created, not through birth right, so quite distinct from Judaism, but by baptism in the name of the divine Trinity. One bishop I once knew used to say that ‘you can be born in a garage, but it doesn’t make you a mechanic’. Christians are not born, they are adopted by the grace of baptism into the household of faith, and Our Lord clearly links baptism with that command to ‘Go out’. So if, as I suggested last week, the Liturgy revolves around the great offering or anaphora, so the consequence of the Liturgy is to be found in the Sacrament of Mission. Over these weeks in Lent I will be offering 5 sermons based on the Liturgy – the weekly offering of the church in which God’s glory in Christ, and in us, is celebrated. This is the third in the series. To recap – in the first week we thought about the nature of the church focusing on the image of the ‘household’ and then we moved to thinking about the Sacrament of the Gathering of the household of faith, and the immediate need for repentance, Kyrie Eleison, followed by the outburst of Gloria (except in Lent and Advent). In week 2 we reflected on the Sacrament of the Word, balancing the word of God in scripture, and God in Christ as the Word made flesh. Last week we considered the Sacrament of Prayer, looking at 5 points in the Liturgy when prayer is the task of the household of God. As we think of the Sacrament of Offering, of course no greater offering could be made that the offering of Christ on the Cross. It is this self -offering that characterizes Christianity. It is an offering that in the Reformed language of the 1662 Prayer Book refers to Christ’s offering as an ‘oblation’ which makes a ‘full, perfect, and sufficient sacrifice, oblation, and satisfaction, for the sins of the whole world’. This language is intended in the Anglican tradition to guard against the Roman Catholic dogma of the ‘Sacrifice of the Mass’ in which there were tendencies to think of Christ being repeatedly sacrificed each time the Mass was celebratd. Anglicans have none of this, and with sound scriptural understanding accept that what Christ did on the Cross, he did once and for all. There is a Greek word hapax, which means ‘only once’, and it occurs only once in NT Greek vocabulary in the Letter to the Hebrews, and in fact has been absorbed into English grammatical language. If a word occurs only once it is referred to as a hapax legomenon. 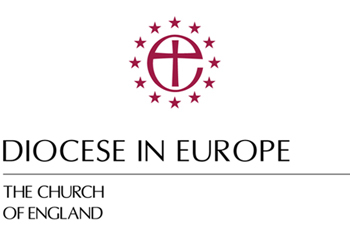 To recap – in the first week we thought about the nature of the church focusing on the image of the ‘household’ and then we moved to thinking about the Sacrament of the Gathering of the household of faith, and the immediate need for repentance, Kyrie Eleison, followed by the outburst of Gloria (except in Lent and Advent). In week 2 we reflected on the Sacrament of the Word, balancing the word of God in scripture, and God in Christ as the Word made flesh. This week we will consider the Sacrament of Prayer. To help us focus, we will consider five points of prayer that occur in our Liturgy: the Trinity, the Collect, the Intercessions, the Lord’s Prayer, and the Dismissal. In case you are wondering about the Great Thanksgiving Prayer when we place before us bread and wine, I will include this in 2 weeks’ time, when we think of the Sacrament of Offering. And so to Prayer. Over the next few weeks I will be offering 5 sermons based on the Liturgy – the weekly offering of the church in which so much of God’s glory in Christ, and in us, is celebrated. This is the second in the series. To recap – last week we thought about the nature of the church focusing on the image of the ‘household’ and then we moved to thinking about the Gathering of the household of faith, and the immediate need for repentance, Kyrie Eleison, followed by the outburst of Gloria (except in Lent and Advent). Now we move on to think of the Sacrament of the Word, in which we will include the Collect of the day, the scripture readings, and, because we cannot cover everything in one season of Lent, I intend to say nothing about the Creed, but I think the Creed will make another very good sermon series at another time. Over the next few weeks I will be offering 5 sermons based on the Liturgy – that weekly offering of the church in which so much of God’s glory in Christ, and in us, is celebrated. Each week the subject will be preceded by the word ‘sacrament’. I am using this word in its loosest sense because I do not want to confuse what we are doing with the 7 formally recognized Sacraments of the church. However I am working with the basic meaning of ‘sacrament’, namely ‘the outward visible sign of a hidden invisible grace’. In other words, a mystery revealed. Today we start at the beginning – a very good place to start – by thinking of the Sacrament of Gathering, as it is when we are gathered together we begin our worship. When we gather together we are the church of God. The New Testament word for this is ekklesia – normally translated as ‘church’. The Greek speakers here will know that this word comes from the Greek verb ‘to call’ or ‘to invite’. The New Testament has a number of descriptions or metaphors for the church, mostly provided in the Letters of Paul, but also in other bits of NT literature. We should note, however, that this word ‘ekklesia’ is not a word found frequently in the four gospels. Indeed Our Lord uses it only once – when he tells the Apostle Peter that he will be the foundation, the Rock. The concept of a Rule of Life is a tried and tested Christian practice. Although it has its roots in the monastic life, many Christians of all traditions, (including Anglicans) have found that adopting a simple ‘rule’ can be a valuable aid towards shaping and structuring their lives, enabling us to walk more closely with Christ. In offering this pattern for a rule of life to the people of the Diocese in Europe, and in encouraging individuals to adopt it we hope to help people live out more fully our Christian discipleship and to mark ourselves intentionally as members of communities desiring to be faithful to Christ through this particular Anglican Christian way. Journeying, and especially journeying with God, is a motif embedded deep within the biblical and Christian tradition. It runs from near the beginning of the Bible to its close. We hear of the travels of Abraham and his descendants, of the wilderness wanderings of the people after the Exodus from Egypt, of the joyful pilgrimages made to Jerusalem for times of festival, of the anguished journey of the exiles who found – to their surprise – that God was still present with them in Babylon, followed by the ecstatic visions of the prophets who sang of the people’s return. In the New Testament all four Gospels are presented in the form of a journey made by Jesus and his followers, initially in and around Galilee, but then as a kind of pilgrimage to Jerusalem itself to meet what awaited there. After the resurrection the tale of travelling continues as the Gospel moves out from Jerusalem, crossing eventually from Asia to Europe, to culminate in Paul’s goal of reaching Rome. Even the mysterious final book of the Bible, the Revelation of John, seems to be framed as a journey of pilgrimage to the new Jerusalem. Our gospel reading today is of dubious character – and I’m not talking about the central character. What I mean is that this account doesn’t appear in a great majority of the most reliable ancient biblical manuscripts and is not commented upon at all by the early church fathers. This is not to say the passage was entirely unknown. It appears to have been referenced in passing as early as 100 AD; Saint Jerome does include it in his fourth century Vulgate edition; Saint Augustine writes about it but it’s not until we reach medieval, particularly western, biblical manuscripts that it becomes a commonplace inclusion. Even today, in most modern translations, including the NRSV which we use in this church, this piece of text suffers that most ignominious of treatments – the square bracket or, worse, the footnote. We are left to conclude then that although this probably is an authentic account of an episode in the life and ministry of Christ, nonetheless, for whatever reason, this dramatic, gritty, sensational encounter was not deemed worthy of inclusion in the mainstream biblical tradition. Augustine suggests it was perhaps too scandalous and dangerous a topic to confront. And which, of course, makes it a perfect illumination of what we might want to consider on this Ash Wednesday. WELCOME TO YOU ALL, KALOSORISATE STO ST PAUL’S FROM ALL THE TEAM HERE , I AM THE DEACON OF THE PARISH, A RATHER EXTENSIVE PARISH COVERING ATHENS AND BEYOND. 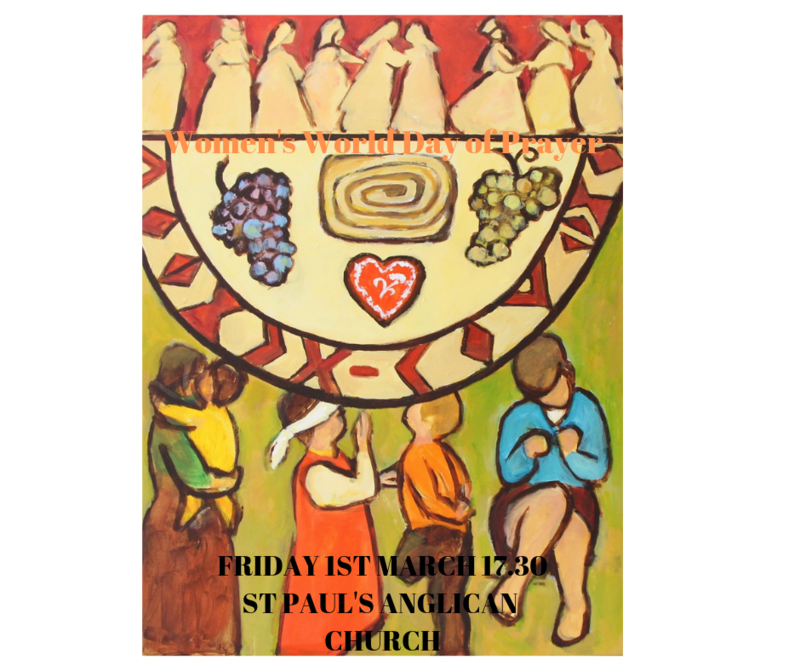 WE ARE DELIGHTED TO BE HOSTING THE WOMEN’S WORLD DAY OF PRAYER 2019. 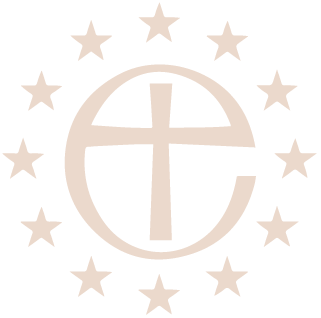 WE BELONG TO THE EASTERN ARCHDEACONRY WITHIN THE DIOCESE IN EUROPE AND SLOVENIA, AND THE SMALL WORSHIPPING GROUP IN LUBIJIANA, IS PART OF THAT SERVED BY THE CHAPLAIN IN VIENNA. THIS IS A HOUSE OF PRAYER; WE WORSHIP HERE SUNDAY BY SUNDAY AND DURING THE WEEK. WHAT DOES IT MEAN TO BE A PRAYING COMMUNITY AND ONE SITUATED HERE IN THE HEART OF ATHENS? WELL, WE INTEND TO OPEN UP THE CHURCH ON A REGULAR BASIS RATHER AS WE DID DURING THE ATHENS OLYMPICS SO PEOPLE CAN COME IN TO SIT, PRAY, LIGHT A CANDLE OR WANDER AROUND. PRAYER DOES NOT HAVE A SPECIFIC TIME AND PLACE BUT A POWERFUL PRESENCE AND AN ON- GOING ONE IN OUR LIVES. HOW CAN WE SUSTAIN A PRAYERLIFE AND HOW DOES THAT IN TURN SUSTAIN US AS INDIVIDUALS, GROUPS, COMMUNITY AND THE CHURCH? I wonder whether you have ever been electrified by a play, film or book, so stunned by the writing or acting that it leaves you mulling over the performances for a long time afterwards as well as the plot or characters and the insights it afforded ? One such occasion happened recently when my fellow educationalist and emotional needs specialist, colleague, volunteer at Apostoli Dilesi nursery school and integration migrant programmes and friend to this church Katia Papaconstantinou and I went to see a performance of The Curious Incident of the Dog at Nighttime based on the book of the same name, in a theatre not so very far from here. The book has been a favourite of mine for years and one which I read with my students. It tells the story of Christopher, a teenage boy on the autistic spectrum. I had long wanted to see the stage version which premiered in London and toured England but was not able to go. So I was delighted, if somewhat skeptical, to see that the production was being mounted here in Athens. It was not so much the language element I feared, the play was in Greek, but how the plot and script would differ from my preconceived ideas of them. Not to mention the characters. 2nd Sunday before Lent St. Paul’s Athens. Genesis 2, 4-9, 15-25; Rev 4; Luke 8, 22-25. We are reminded in the first reading of how women came into being! Genesis Chapter 2 is a salutary reminder that there is more than one Genesis narrative in scripture, and that there are dangers in taking only one narrative and being literalist about it. I would like to focus on one aspect of this genesis narrative. It is the relationship between man and work. By this, of course, I mean men and women and work. Passing over rather quickly the story about the woman being from the rib of the man, the writer quickly focusses on the land and its husbandry. It appears from the earliest of our beginnings that man is intended to work – whether we like it or not, work has to be done, otherwise what would things be like? What would your homes be like if the ironing didn’t get done, or the dishes were left unwashed, or the dust builds up into layers visible to the naked eye. Forgive me if I am describing how things look in your own home, but just imagine if all these tasks of domestic work did not get done by house proud men!